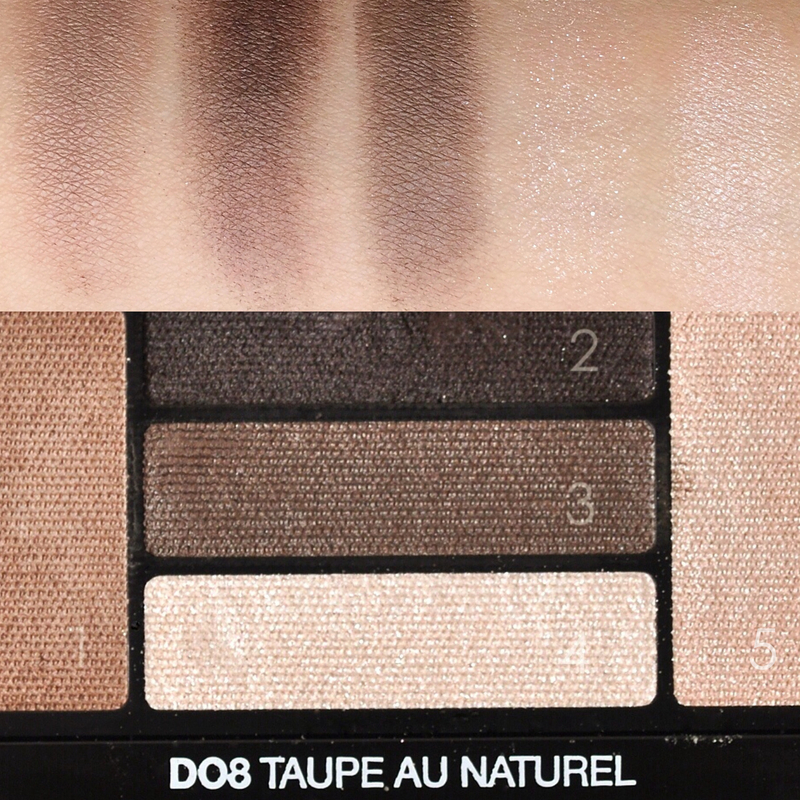 It’s been a while since I did an eye palette review, so I thought I’d share two eye looks created with the new Lancôme D08 Taupe Au Naturel Hypnôse palette, which was one of three palettes that were created for the 10 year anniversary of their iconic, award winning Hypnôse mascara. ‘Eye colour artistry made easy’, that’s Lancômes tag line for the Hypnôse palette. And in my opinion, it’s a pretty accurate description. I find that all 5 colours work very well together, harmoniously. Even those with minimal makeup skills could create these two looks without breaking a sweat. Here are the swatches, numbered according to sequence. 1. A neutral light brown shade (matte) – The colour pay off is medium and blends well. 2. A deep brown with slight warm, red undertones (satin finish) – A found this one to be a little bit on the dryer side. Applied sheerer than expected and a bit patchy. 3. A neutral medium brown shade (satin finish) – This had the best pigmentation from the bunch and applied very smooth and blends easily. 4. A neutral shell shade (sparkly finish) – This one was tricky. major fall out and applied quite patchy. I’d suggest patting this on lightly, no blending. 5. A neutral pinky beige shade (shimmer finish) – This had good pigmentation, applied very smooth and blended easily. So onto the exciting part! For the first look I concentrated more on a light wash of colour with slight crease definition using 1,3 and 5 from the palette. I started off with 5 applied all over the lid with a flat brush and added 1 to the outer corners to deepen the colour and lastly used 3 to define the crease and add depth. I lined my eyes with black khol liner and dressed up the lashes with Hypnôse mascara. 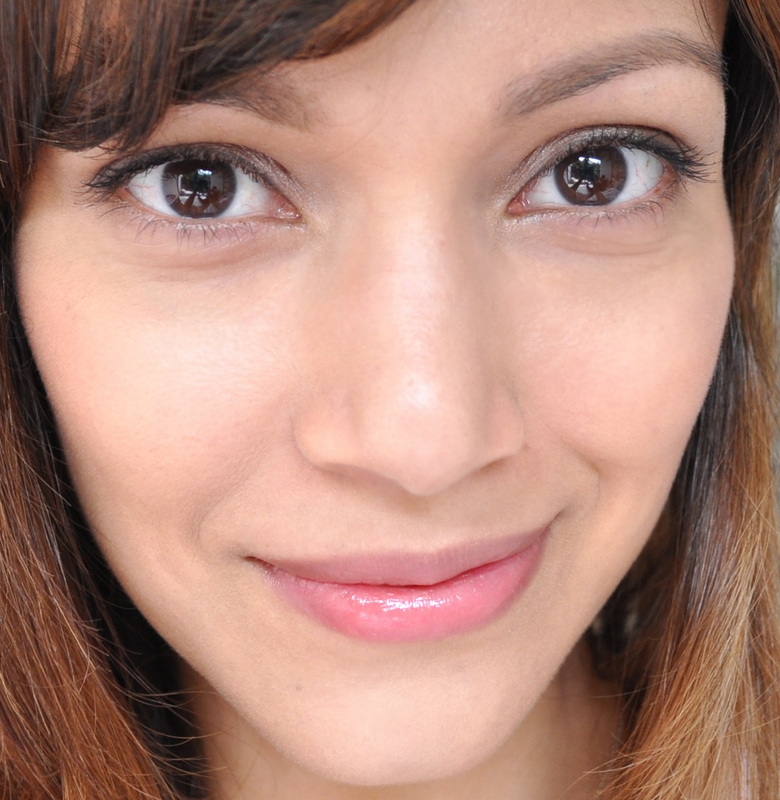 For lips I used Lip Lover in shade 321 and for cheeks Blush Subtil in 041 Figue Espiègle. All by Lancôme. A fresh everyday look, perfect for work or lunching with the girlfriends. I then went onto the night time look, using the day look as the starting point. I used 2 from the palette and lined the lower lash line and extended it out and upwards. I then added more of 2 closer to the lash line and intensified the look. the colour was easily buildable and with more layers, a smokier effect was created. I also used a more of shade 3 on the crease and blended it in. I then went back again with 1 to blend the outer edges of the crease. Lastly I took 4 and highlighted the inner corners of the eye to instantly liven up the look creating brighter eyes. Lastly I applied a thick liquid liner as a base to add some lashes for an even more dramatic effect. Hypnotic! Here’s the final look with a touch of lip colour, I used Lip Lover in shade 314 layered over Tom Ford Sable smoke and intensified the blush I already had on with a golden coral shade, Blush Subtil in 030 Éclat de Corail. The pigmentation of two shades were a bit disappointing, but applied over an eye primer (which I always recommend using) the colours do turn out quite nice. Also should be noted that all Hypnôse palettes could be used wet or dry. And if you want more dramatic colour, i’d suggest using it wet. Though I hardly felt the need to! 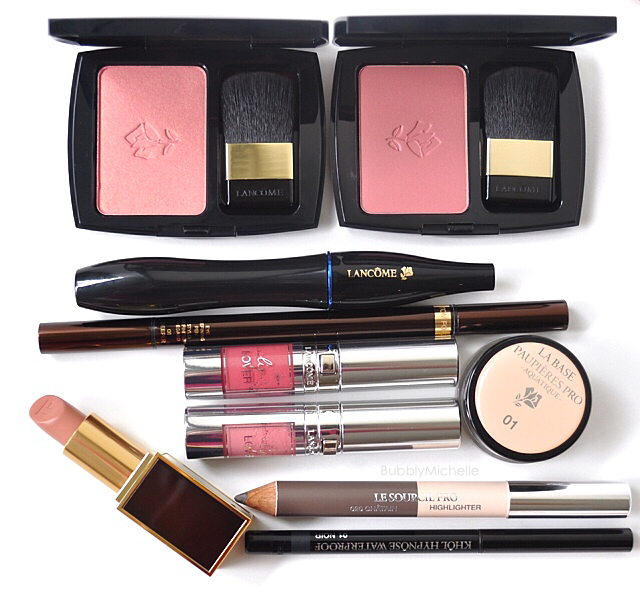 As far as versatility goes, this particular quint is something that most makeup lovers can get good use of. It’s a nice mix of neutrals. One thing I missed though was a satin or a matte base shade. the only base shade in this palette (no.5) was shimmery and I never see myself using a shimmer base all the way up to the brows. Lancôme Hypnôse palettes are available at all Lancôme counters and Sephora stores, retailing at SGD 90. This is a beautiful look, but what I’ve noticed about your skin is you have absolutely zero pores?! How is it possible to have such flawless skin, even up close? Lol!!! I love your skin! Both naturally and done up you are seriously so beautiful.. You have the perfect eye shape to really build up eye looks naturally or on a more bold level and it still looks wearable and never intimidating :)! The colors in the quad look nice.. I’m sure the khaki one will look even more amazing on you! I love when you do eye makeup looks because ugh.. always so stunning!! 🙂 I have two Lancome eye palettes Ive neglected but one is a fave! 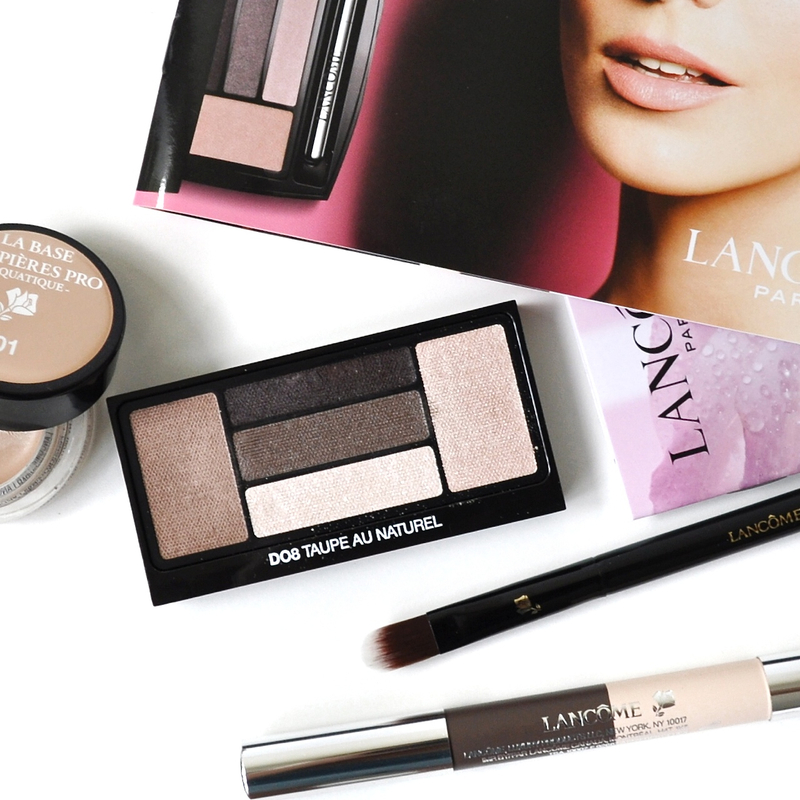 I forgot the name – will check it again but it wasnt as disappointing as most Lancome palettes Ive encountered!